Andrea Arnold, director of the highly acclaimed, BAFTA award-winning Fish Tank that saw actress Katie Javis plucked from obscurity and propelled into the limelight, is currently knee-deep in post-production on her follow-up: a feature-length adaptation of Emily Brontë’s novel Wuthering Heights. 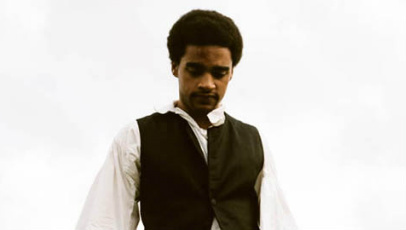 The film, which stars Kaya Scodelario, Oliver Milburn, Nichola Burley, Paul Hilton, Steve Evets, Amy Wren, James Northcote and newcomer James Howson, recounts the story of Heathcliff – a poor young English boy who is taken in by the wealthy Earnshaw family where he develops an intense relationship with Cathy, his young foster sister. As well as premiering at the 68th annual Venice International Film Festival in September, Artificial Eye have today announced, via the folks at Digital Spy, that Wuthering Heights will be released in UK cinemas on November 11. While it’ll no doubt hold its own and find an enthusiastic, niche audience, it’ll face some tough competition against other new releases opening that weekend, including Immortals, Arthur Christmas, The Deep Blue Sea and Take Shelter.